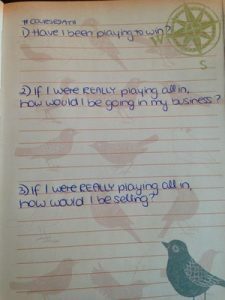 But what am I actually DOING each and every day and how can you come up with your own aligned disciplines for success? I give most credit for my success, my drive and my results to my daily and weekly disciplines around mindset work and business activities. They are non-negotiable. 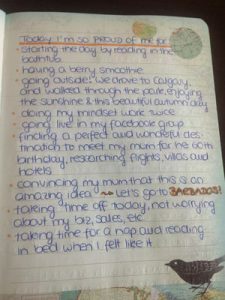 I write down every single day what I’m working for – how does my ideal dream life look like? Why am I doing this? I phrase this in a way like it’s already a DONE deal and happening right now, by using present tense. Put as much detail and emotion into this as you can! It will EXCITE you, and become the fuel of your engine. The magic of this is: You can have it all! If you can dream it, you can do it! 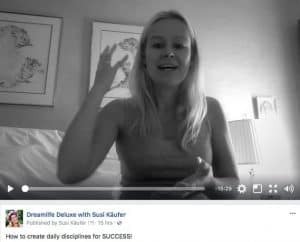 With this manifestation technique I have already manifested dream clients, $10K months, a round-the-world trip, my new offers and sold-out programs, a dog and several housesits with lots of animals, a dream holiday with my mum in Barbados and so much more. 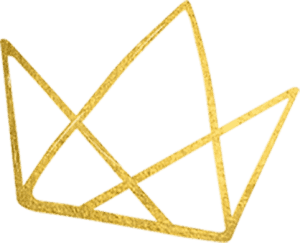 It helps me as well to get clear on the ways I design my business. I have a crystal clear vision on how my ideal working day looks like, how many team members I want to hire, who I want to work with, how much money I want to earn, how many hours per day I want to spend on client calls etc. That’s what I base all my decisions on. Does this bring me closer to my Big Vision, YES or NO? It always has to be a HELL YES to proceed! 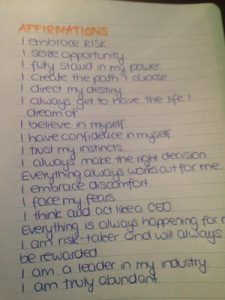 On top of that I write out my affirmations daily. 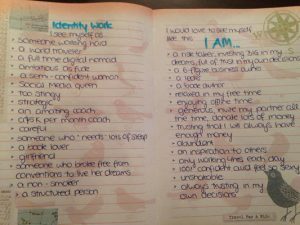 If I would already BE this person (from my Big Vision) – what would I now believe? About selling, about showing up, about my offers, about making money? THIS is what you already want to believe in NOW. Always act from a place like you already did!